We are proud to present this week's Trushmix by Jonny Rock aka Oldschool Rider from London. He has sent us a fantastic mix in his special style of vintage house sounds, a full hour of oldschool goodness! Jonny Rock has been involved in house music for a long time, with releases on labels like Music For Freaks, Disco 45 and RKDS. Don't forget to check out his latest releases on W+L Black and Foot & Mouth. 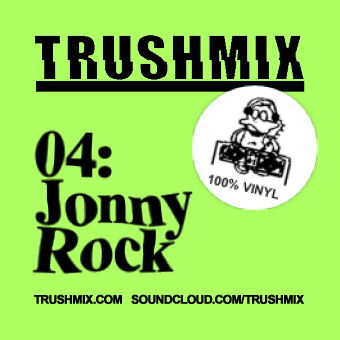 Enjoy Trushmix 04: Jonny Rock!